Review: 2012-12-15, very exciting and tough fight with two knockdowns (both fighters went to the canvas), a spectacular finish and they had already fought twice in the same evening: congratulations to Artur Kyshenko and Murthel Groenhart, this is one of the best K-1 fights of the Year, four stars! Artur Kyshenko ranked as the No.3 middleweight in the world, entered the fight with a record of 52-9-1 while Murthel Groenhart had a record of 52-14-3. Kyshenko vs Groenhart is the final of the K-1 World MAX 2012 Final 8; they also faced each other a second time on April 23, 2016 (=Kyshenko vs Groenhart II). Watch the video! Review: 2012-12-15, nice and close fight between Andy Souwer and Artur Kyshenko: three stars. Andy Souwer ranked as the No.6 super welterweight in the world, entered the fight with a record of 147-12-1 while Artur Kyshenko (51-9-1) entered as the No.3 middleweight. Souwer vs Kyshenko 4 is the semifinal of the K-1 World MAX 2012 Final 8; in their three previous bouts Souwer won 2 out of 3 fights against Kyshenko. Watch the video! Review: 2012-12-15, very tough fight with one knockdown: Mike Zambidis vs Murthel Groenhart is close to get four stars! Iron Mike Zambidis entered the fight with a record of 152-20-0 while Murthel Groenhart had a record of 51-14-3. 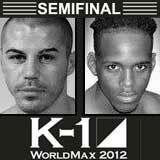 Zambidis vs Groenhart is the semifinal of the K-1 World MAX 2012 Final 8. Watch the video! 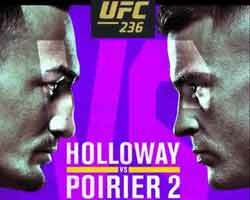 Review: 2012-12-15, even with a nice knockdown the fight between Andy Souwer and Andy Ristie isn’t worth three stars. Andy Souwer ranked as the No.6 super welterweight in the world, entered the fight with a record of 146-12-1 while Andy Ristie had a record of 37-2-0. 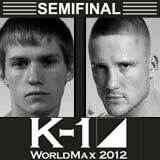 Souwer vs Ristie is the quarterfinal of the K-1 World MAX 2012 Final 8. Watch the video! Review: 2012-12-15, spectacular knockout between Yasuhiro Kido and Murthel Groenhart: three stars. Yasuhiro Kido entered the fight with a record of 30-13-1 while Murthel Groenhart had a record of 50-14-3. Kido vs Groenhart is the quarterfinal of the K-1 World MAX 2012 Final 8. Watch the video! Review: 2012-12-15, Mike Zambidis vs Reece Mcallister gets three stars thanks to a great second part of the fight. Iron Mike Zambidis entered the fight with a record of 151-20-0 while Reece Mcallister had a record of 4-4-1 (K-1 bouts). Zambidis vs Mcallister is the quarterfinal of the K-1 World MAX 2012 Final 8. Watch the video! Review: 2012-12-15, great second round with a very nice knockdown: Artur Kyshenko vs Chris Ngimbi gets three stars. Artur Kyshenko ranked as the No.3 middleweight in the world, entered the fight with a record of 50-9-1 while Chris Ngimbi had a record of 24-12-0. Kyshenko vs Ngimbi is the quarterfinal of the K-1 World MAX 2012 Final 8. Watch the video!